United Electric Controls received SIL 2 certification on two of its most popular electromechanical switch offerings and already has the certification for its One Series Safety Transmitter. United Electric Controls (UE) received SIL 2 certification on two of its most popular electromechanical switch offerings. Combined with the SIL 2-certified One Series Safety Transmitter, UE now offers process instrumentation end users a range of options for high-reliability electromechanical or digital switching in general process or hazardous area functional safety applications. 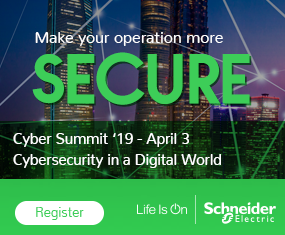 “As global economies become more dynamic and volatile, industrial companies are looking for new ways to reduce risk and are increasingly demanding SIL certification on new instruments,” said Wil Chin, vice president of marketing and business development at United Electric Controls. Global safety certification provider exida certified United Electric’s (UE’s) 100 Series and 120 Series pressure, differential pressure and temperature switches for use in a SIL 2 environment, with systematic capability at SIL 3 level. The option for SIL 3 reliability in electromechanical or digital switching provides flexibility to optimize instrumentation around performance, safety or economic objectives. Switch users looking only for economical, high speed electromechanical SIL 2 level switching can specify the 100 Series for weather-proof general applications. The 100 Series provides pressure or temperature switching for process plants and OEM equipment. Its one-piece enclosure features a clamshell cover for easy wiring accessibility, with a wide variety of microswitch, sensor and process-connection options. Typical applications include heat tracing, freeze protection, processing equipment (pumps, compressors), inputs for annunciator panels and fire suppression systems. Those needing SIL 2 level reliability temperature and pressure switching in Division 1/Zone 1 hazardous environments can consider the explosion-proof UE 120 Series electromechanical switches. 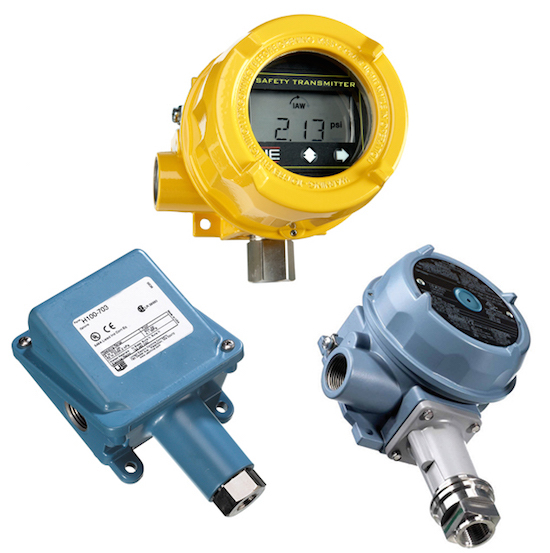 The 120 Series performs critical safety, alarm and shutdown functions in oil and gas, petrochemical, and refining industries. They are also globally certified for hazardous applications in North America (cULus), Europe (ATEX, CE, IECEx), India (PESO), Russia (EAC), and other regions. Those seeking the financial and operational benefits of having a complete safety instrumented system (SIS) in a single digital unit would specify UE’s One Series Safety Transmitter. One Series Safety Transmitters bundle rapid switching, safety logic solving and temperature or pressure sensing in a single housing. They are equipped with digital displays and diagnostic capabilities and shipped SIL 2 certified (SIL 3 Capable) from the factory, removing risk of implementing external relays and controls. The newly SIL-certified electromechanical switches will be available for sale on May 1. The One Series Safety Transmitters are available immediately.